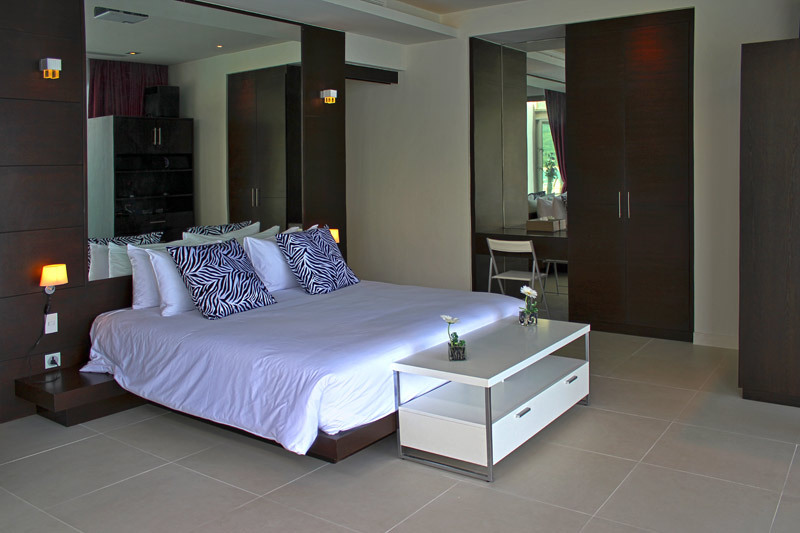 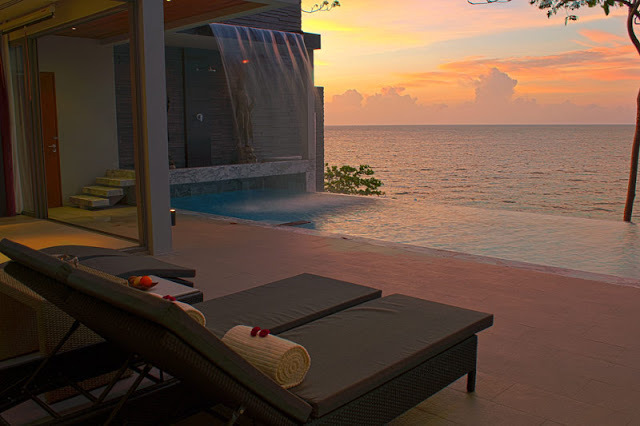 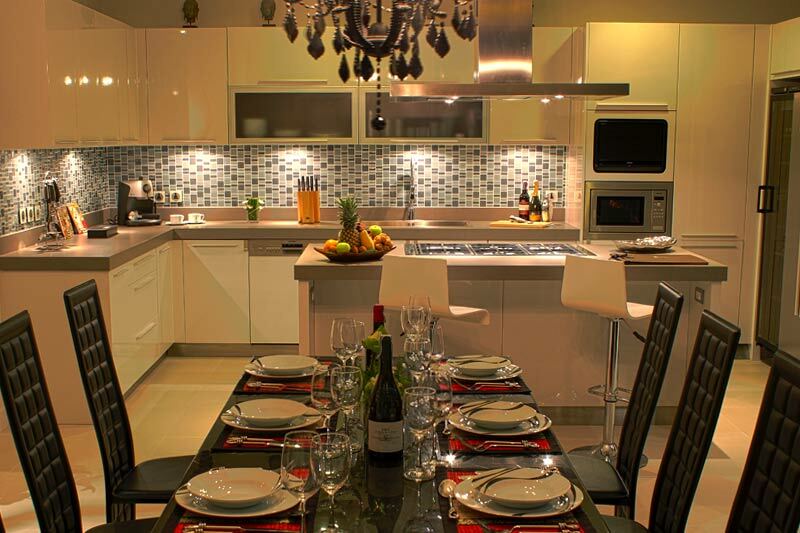 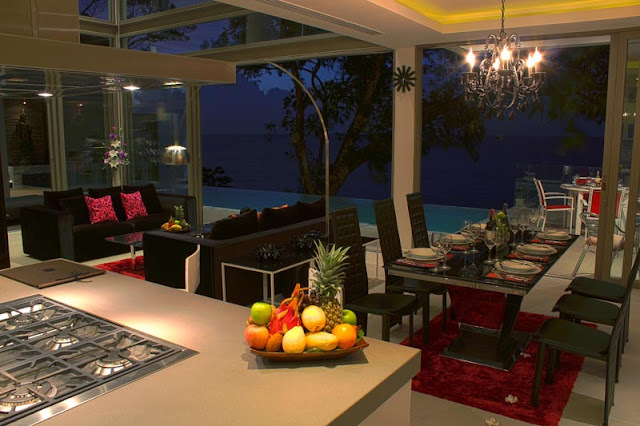 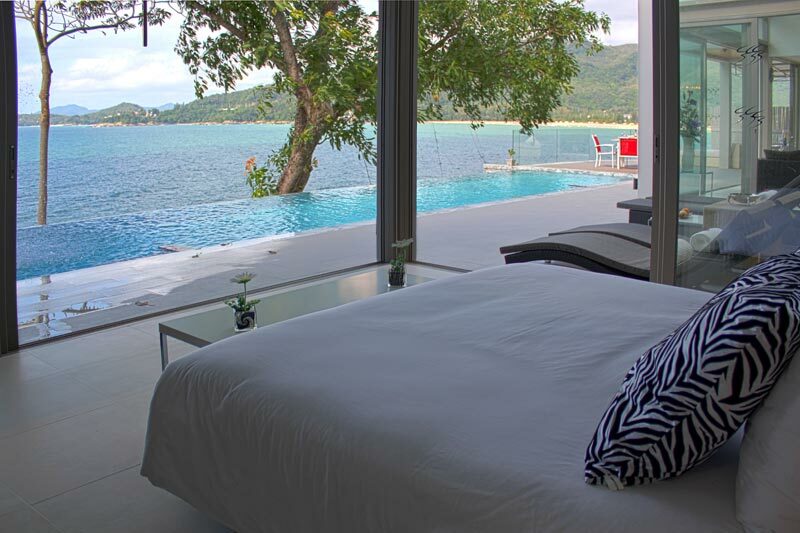 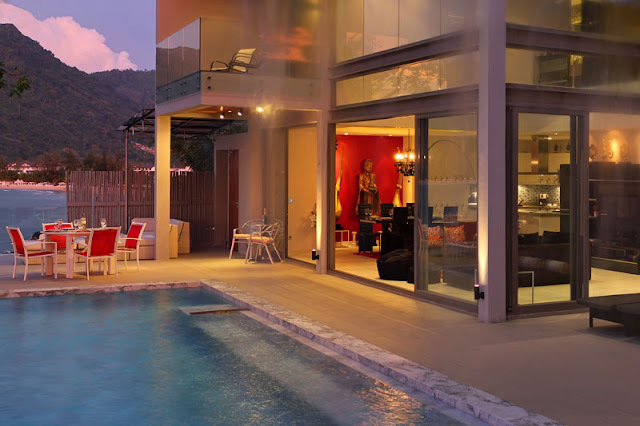 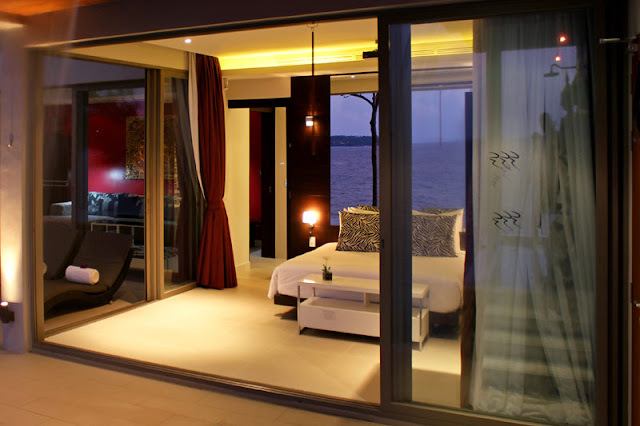 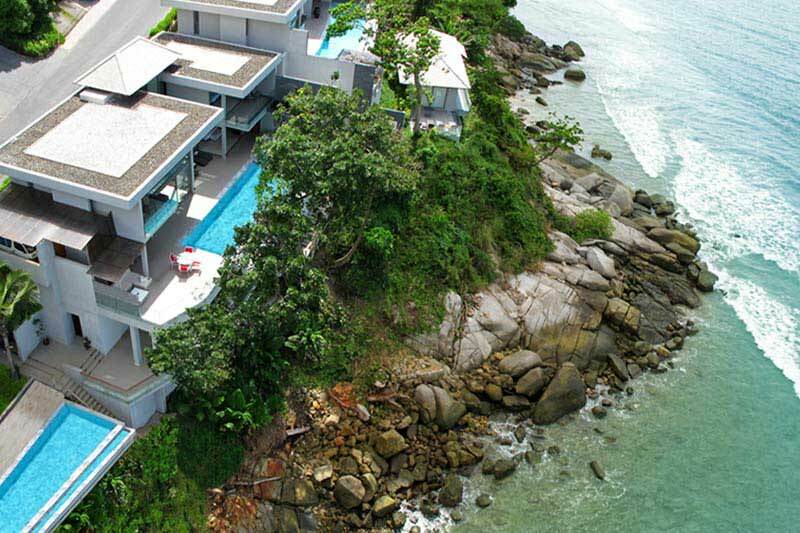 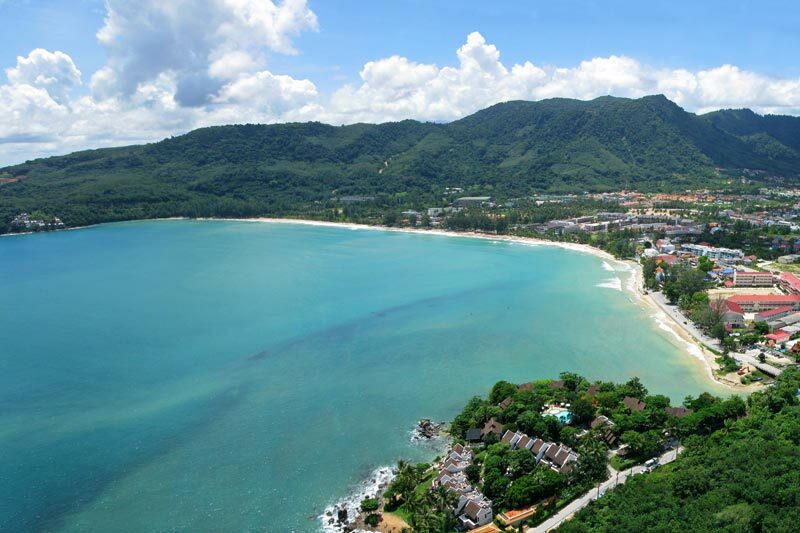 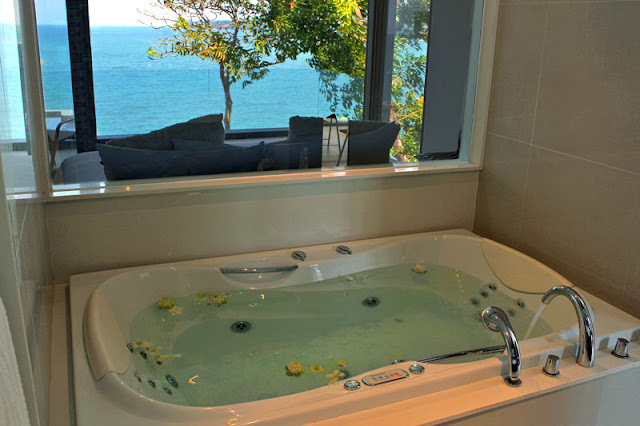 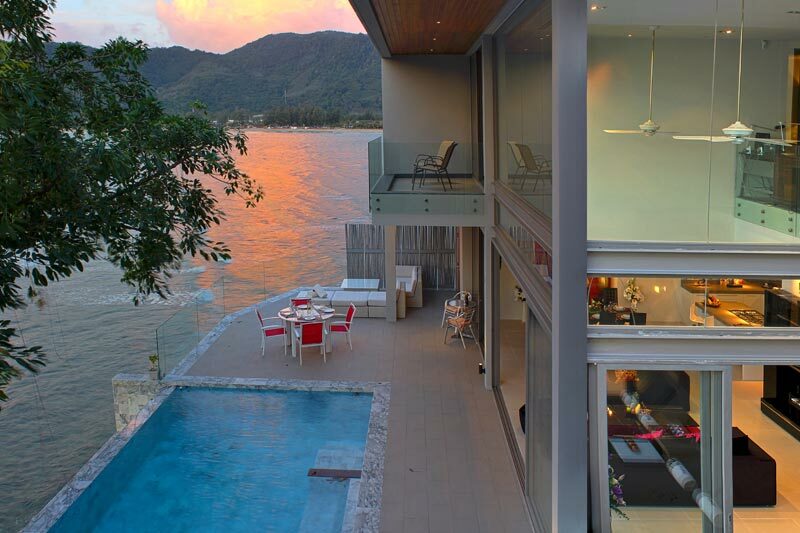 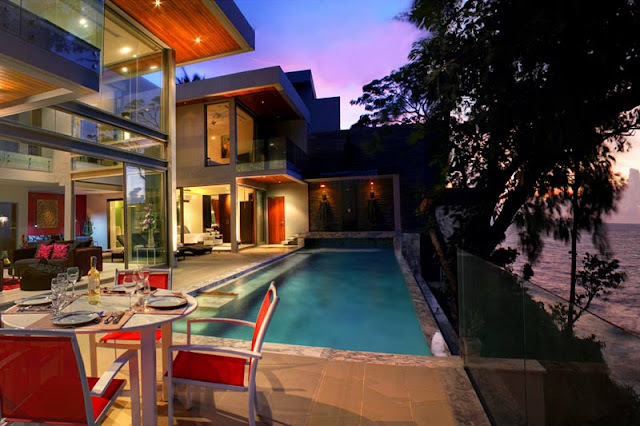 Villa Chi is beautiful modern holiday home located in Phuket's Kamala, Thailand. The house is built on the rock peeking out from the water, allowing close connection with the nature and sea. 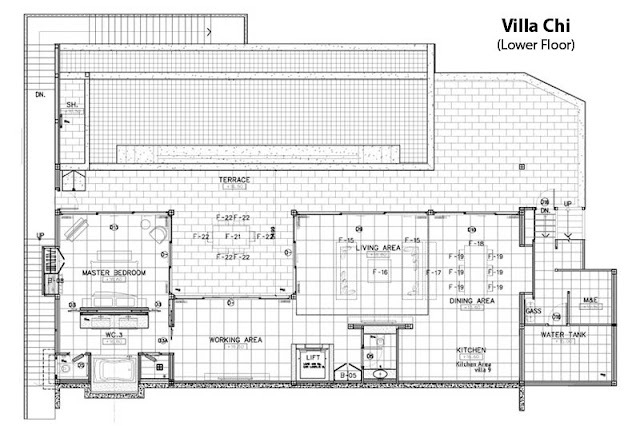 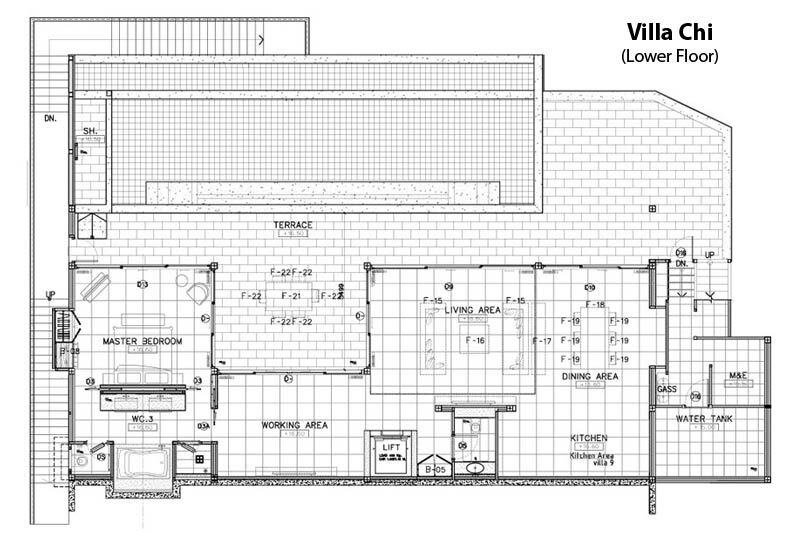 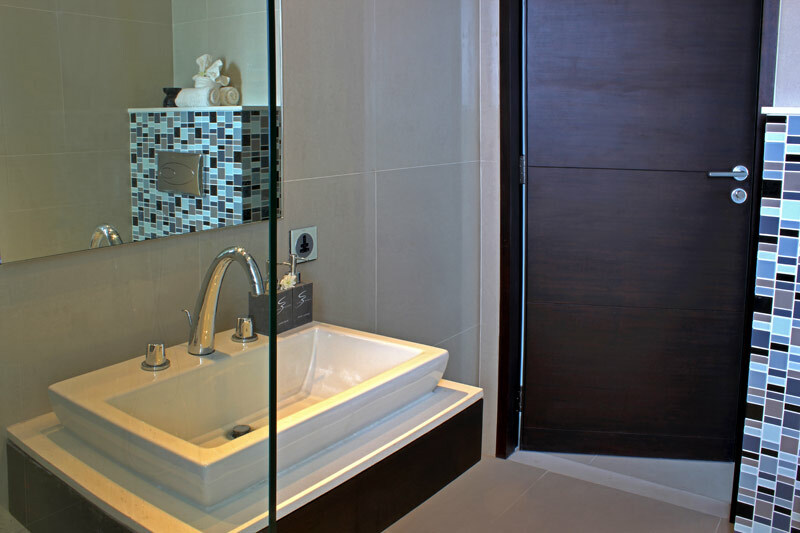 This waterfront modern villa has 3 bathrooms and 3 bedrooms equipped with king size bed, en-suite bathroom with jacuzzi and shower, air conditioning, ceiling fan, LCD projector, DVD player, Satellite dish network, CD player, iPod dock, desk, telephone, poolside deck with 16 m marble pool and much more. 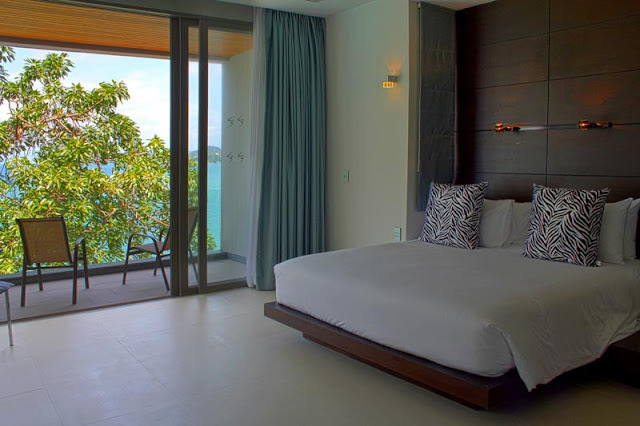 "Floor-to-ceiling windows stretch across the entire front of the villa's two levels, giving every room breathtaking ocean vistas. 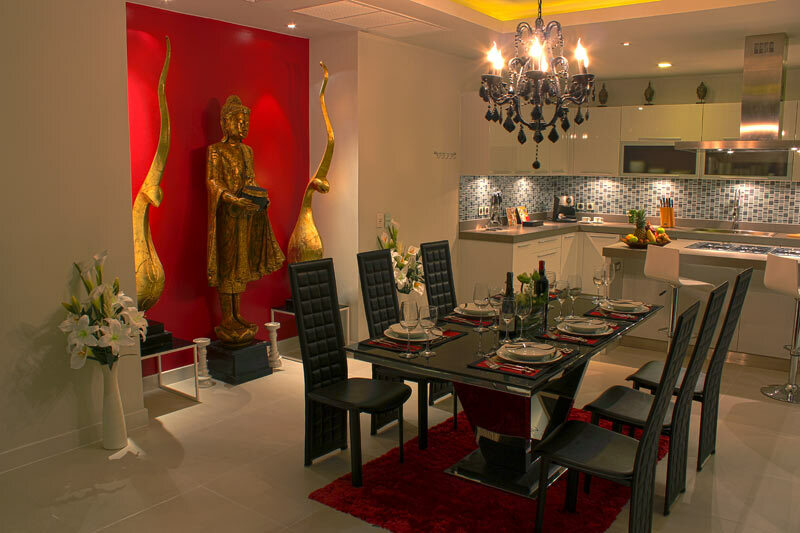 A bold black and white theme is enhanced with Asian design details including Buddha statues and Apsara dancers reminiscent of an ancient Hindu temple."